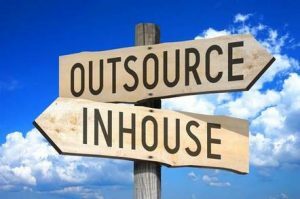 Once the benefits of a concierge program are realized, many organizations consider developing and managing an in-house program, but the time, commitment and resources required often cost more than outsourcing. A reputable concierge business has systems in place derived from years of experience to maximize the program’s impact on your organization. If you’re considering a concierge service as an employee benefit here are the top seven reasons why you should outsource. Your concierge program should develop relationships with vendors, so your employees aren’t just saving time, they’re also saving money. BEST develops partnerships with national and local vendors who go through a detailed vetting process and all discounts we receive are directly passed along to your employees. Your concierge program’s performance should be continuously measured through surveys and customer feedback to provide key stakeholders with valuable metrics like customer satisfaction scores and total hours saved by service. Reporting also allows a concierge company to track data on customers, vendors, services and payments to continually increase the program’s effectiveness. Using a third-party vendor for your concierge program means you don’t have to allocate resources to the hiring, training, management, development and benefits administration process that comes with an in-house service. Read more about how our concierges are the BEST in the business here! One of the primary goals of an exceptional concierge program is high utilization rates. The more frequently employees use the service, the greater the positive impact it has on your organization. Concierge companies with an internal communications and marketing team will work with your organization to convey the value and benefits of the service to your workforce, so they are empowered to maximize its effectiveness. We’ve found that in-house concierge programs face greater utilization challenges because the concierge is hired directly by the company. Many employees are more hesitant to make a personal request with a co-worker than a contracted third party due to privacy concerns. BEST provides the infrastructure and resources to quickly launch and effectively manage our concierge programs so you don’t have to! We have controls in place for program management and service execution to ensure that your organization is experiencing the full benefits of the service. A concierge company should provide appropriate coverage to mitigate risk to your organization. BEST considers risk in every aspect of our concierge program but we take additional measures in two areas – recruiting and insurance coverage. BEST has an in-depth employment process that thoroughly checks each candidate’s legal background, personality, emotional intelligence and professional experience. Before your concierge starts they’ll be fully insured and bonded so they can drive vehicles, enter homes and take in valuables at no risk to your employees or your organization.